TOKYO – Toyota Motor Corp. today said it plans to resume most vehicle production in Japan staring April 25 after deadly earthquakes forced it to suspend operations at nearly every domestic plant. Toyota offered no timeline for restarting those plants. They manufacture the popular Lexus RX and NX crossovers, as well as the GS and ES sedans and the CT hybrid hatchback. Toyota’s Tahara plant, which makes other Lexus vehicles, including the GX SUV, the IS and LS sedans and the RC coupe, as well as the Toyota 4Runner SUV, will be fully online April 28. Separately, Mitsubishi Motors Corp. announced April 20 that it was extending its own shutdown of a minicar line at its factory in western Japan for at least two more days, through April 22. Toyota’s suspension, which will amount to as little as five days for some of its plants, underscores the vulnerability of Japan’s manufacturing sector to natural disasters. But it also showed how Toyota has learned to react quickly following the devastating 2011 earthquake that stymied output for months. Toyota, like many Japanese automakers, overhauled its emergency plans after the 2011 disaster. Double sourcing of parts, better supply chain management and tactics like strategic stockpiling or backup production sites became part of their new Plan Bs. A full week of loss production would total less than 90,000 vehicles and cost the company between 50 billion to 70 billion yen ($458.2 million to $641.5 million), he estimates. But Toyota will likely make up the lost output by relying on its flexible union to adjust vacation time, he said. 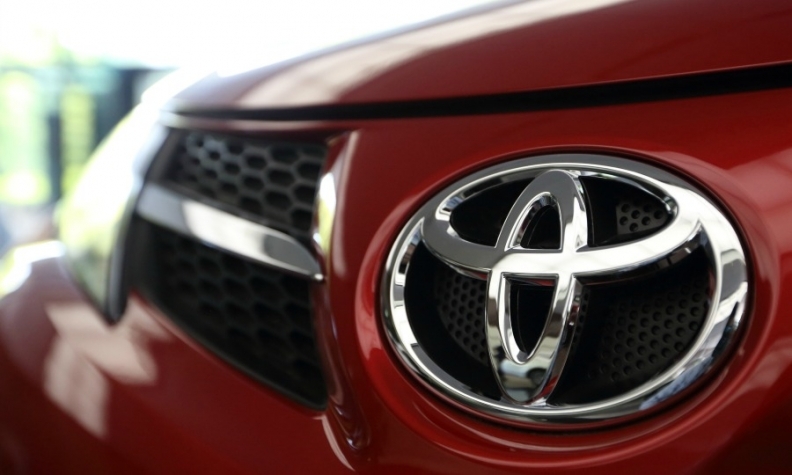 Toyota has not yet decided how or when to make up the lost production, Toyota’s Sakai said. One option may be working Saturdays that were originally scheduled as days off. But Toyota is already booking several of those weekends to recoup output lost during a six-day emergency shutdown in February. Toyota suspended all output in Japan six days then after an explosion at a steel plant torpedoed supply of components for engines, transmissions and chassis systems. The current shutdowns come amid a supply chain crunch triggered by twin earthquakes that hit the area around Kumamoto city on Japan’s southwestern island of Kyushu. The first of the quakes, a 6.5-magnitude temblor, struck the night of April 14. A second stronger one, measuring 7.3 magnitude, rattled the area again early Saturday morning. The twin disasters killed at least 46 people and injured about 1,100 others, according to local media reports. Aisin Seiki had two plants in Kumamoto knocked offline. A body parts factory still had no electricity as of April 20, an Aisin spokesman said. The other plant, a die-casting factory, is currently being prepared to resume operations. It may restart as soon as the coming weekend, the spokesman said. Aisin still suffers a shortage of all parts, but is able to now supply enough to get Toyota plants partially running. The company has begun importing substitute parts from plants in China and Mexico, and it has almost completed a plan to shift production to other plants in Japan, the spokesman said. In a rare move, it has also contracted a non-Toyota Group supplier in Kyushu to make components for it. The spokesman declined to name the other supplier. Aisin is also retrieving molds from the body parts factory in order to ship them to other factories for use. Also among the stricken parts makers, semiconductor-maker Renesas Electronics Corp. said April 20 that it would resume some operations at its damaged Kawashiri plant on April 22. It didn’t offer a timeline for returning to full production, but said operations would ramp up gradually. Meanwhile, two plants making auto-related parts for Mitsubishi Electric Corp. remained down with no timeline for a restart. One makes power semiconductors for electric and hybrid vehicles, among other products. The other makes TFT liquid crystal modules that can be used in car navigation systems.